Wendell J. Jones has extensive experience in handling a variety of real estate matters. Although he has BS Degree in Mechanical Engineering from the University of California at Santa Barbara, his passion for real estate began in 2008 when he began helping clients with loan modifications. 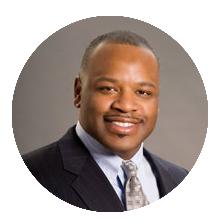 In addition to being a licensed real estate broker, Wendell J. Jones is a licensed attorney as well. Raised by two hard working parents, Wendell J. Jones learned the values of dedication and persistence as he graduated at the top of his class in Law School. Having closed 150+ transactions within the last 5 years, attorney Wendell J. Jones has extensive experience in dealing with complex real estate matters (foreclosure defense, bankruptcy, probate, etc.). Consequently, he not only has management experience and knows how to handle every aspect of real estate transactions and offers comprehensive and innovative training, education and support to all of our professionals. 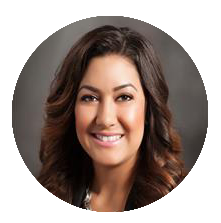 Jasmin Quezada is the office administrator at Realty ONE Group, Infinity. Jasmin began her career in real estate in 2002. Jasmine brings over 12 years of hands on knowledge and a diverse background in the real estate industry to the team. She has also developed an extensive knowledge of short sale transactions and has become an expert negotiator. She has become dominant in the field closing many short sales well within 90 days and has utilized her proven process to aid our professionals in closing dozens of short sale transactions.